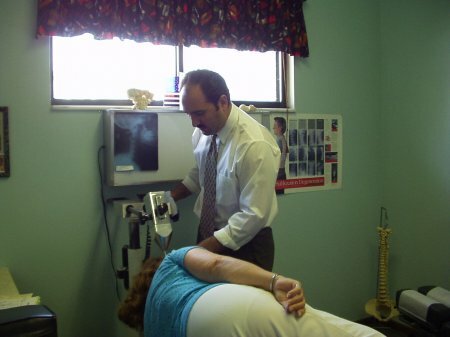 The Atlas Orthogonal chiropractic technique is one of many specialities within the chiropractic field. It is an upper-cervical based corrective procedure that is both gentle and painless. When treatment involves the neck, we use this specialized technique which avoids the discomfort often associated with other methods of manipulating the neck. The Atlas Orthogonal technique focuses on the first cervical bone in the spine. This bone is located at the base of the skull and supports the head. 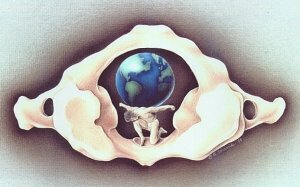 It is called the "Atlas" in reference to the figure of Greek mythology who held up the world. It has been determined that many of the health problems associated with spinal misalignment can be directly linked to the positioning of the atlas bone. Improper positioning can be caused by the strain of supporting the head, which can weigh anywhere from nine to seventeen pounds. This strain can be exacerbated by additional factors such as poor posture or the habitual carrying of heavy objects in an unhealthy manner. Subluxation can prohibit muscles, joints, and other organs from getting crucial messages from the brain. Misalignment of the atlas affects the rest of the spine and the body. The difference between an Atlas Orthogonal chiropractor and other chiropractors is that the Atlas Orthogonal chiropractor adjusts the atlas using the Atlas Orthogonal Precision Adjusting Instrument. This instrument uses the principles of percussion force. As the patient lies on one side, the doctor places the tip of the instrument below the patient's earlobe, barely touching the skin. The head of the instrument sends an energy wave through the tip (much like ripples on a pond), therefore placing the atlas in the correct position. The patient feels absolutely no discomfort. The Atlas Orthogonal procedure is completely non-invasive and requires no manual adjustment. The procedure re-aligns the atlas bone and ultimately the cervical spine, leading to improved function in the central nervous system. This procedure helps to re-align the spine, optimize communication between the brain and body, and encourages the body to fight off further misalignment on its own. Most patients will have treatment recommendations ranging from a month to occasionally several months in complicated or severe cases. Once treatment goals have been met, we encourage patients to continue their home care program. We generally do not encourage additional treatment beyond the point of maximum improvement. We do, however, recommend you come in if you sense an old problem returning or a new condition developing. Obviously, the earlier we begin treating a problem, the sooner you will experience relief. For more information on the Atlas Orthogonal technique, please visit the official Atlas Orthogonal website.